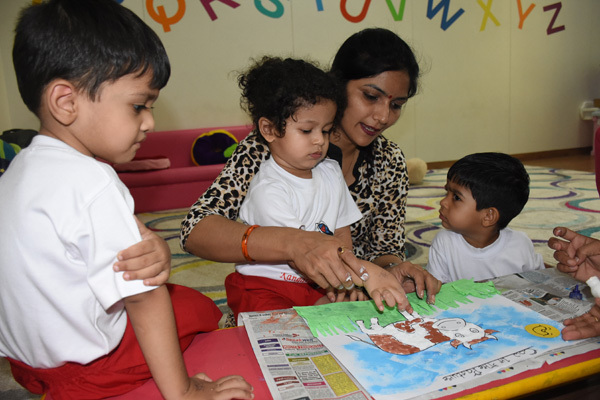 Playschool children actively engaged in a discussion on facts about the‘Cow’, its appearance,uses and various milk products. 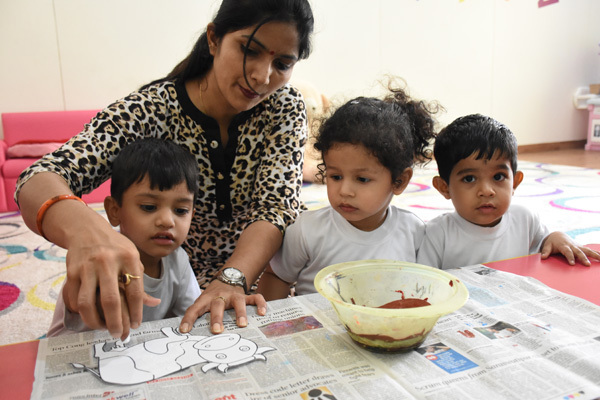 They also enjoyed the art activity ‘Cows in the Pasture’, in which they coloured the picture of a cow using classroom material. 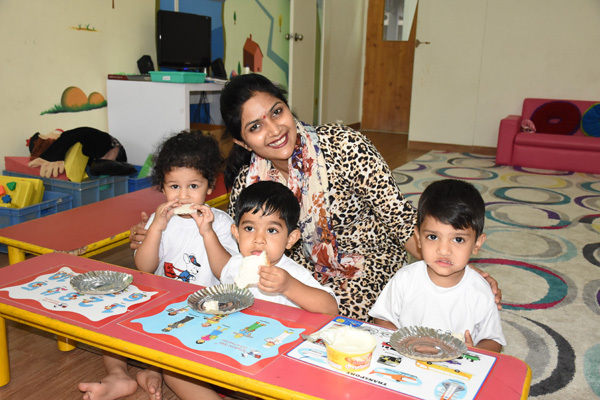 The special day culminated in making and eating yummy cheese sandwiches.